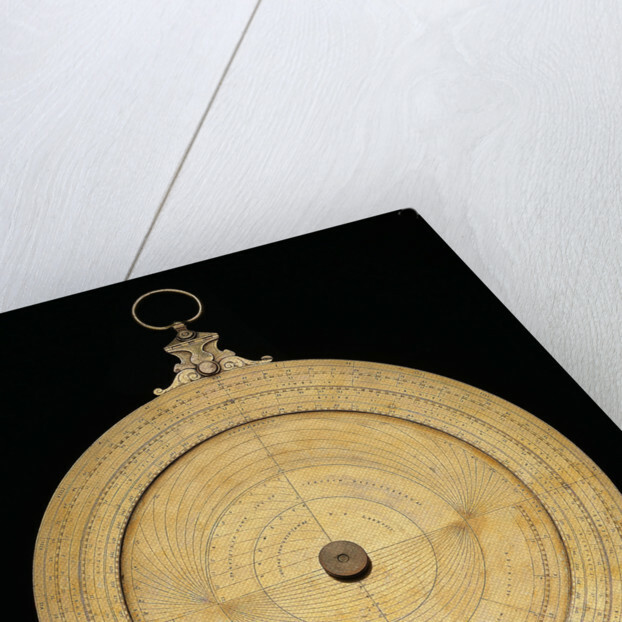 Little is known about the tradition of instrument making in Heidelberg and the maker of this astrolabe is presently unknown. Its construction is fine and delicate and seems to be the work of trained instrument makers. It is gilded and the letters and numbers are stamped. The rete and alidade are missing and the nut is a later replacement. A tablet of horizons is engraved on the inside of the mater and so no separate plates are necessary. The throne consists of two thin plates of incised ornamental scrollwork. A hinged shackle and swivel eye hold the suspension ring from which the instrument suspends. 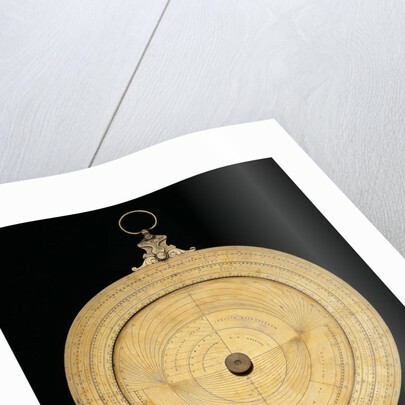 The date and place of manufacture of the astrolabe are engraved on the mater: 'FACTUM HEIDELBERGAE MDLXXXVIII'. 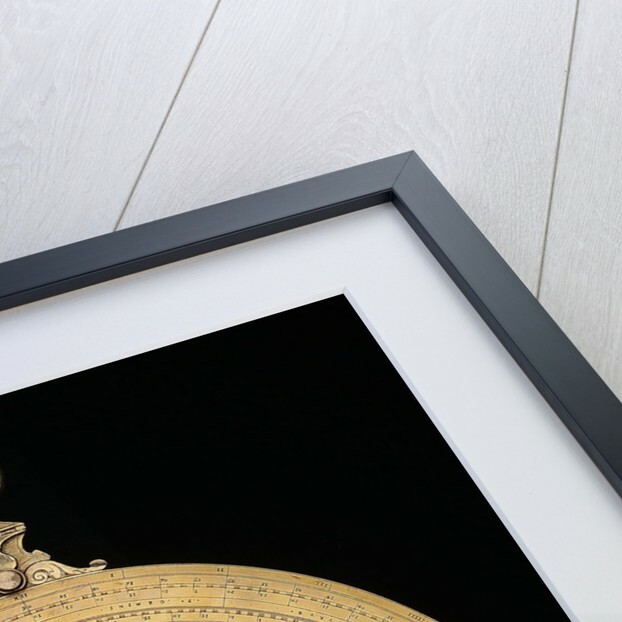 A universal stereographic projection is engraved on the back of the instrument whose presence, together with the tablet of horizons on the mater, reflects the astrolabes of the Louvain School of the 16th century. 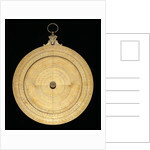 These astrolabes are sometimes referred to as 'Gemma Frisius-type' astrolabes for he was responsible for making these features popular on astrolabes of this period. More by the artist Heidelberg School.